My take on Mark Steyn's latest. His column was published on the Orange County Register. Summary: For the inauguration of Barrack Obama, George W. Bush declared Washington, D.C. a Federal Disaster Area. Obama and the Democrats are fine with this because now they can tap into FEMA (Federal Emergency Management Agency) funds to help pay for costs associated with the inauguration. This is the first time in history that the inaguration of a President has been officially declared a national disaster. My Views: What more is there to say? This shows more than anything the state of how government budgets and spends money in our day in age. His latest book is on the right. This is the book that got several Human Rights Commissions in Canada hot and bothered. 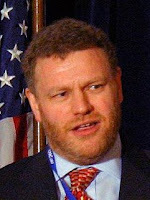 With free speech under unprecidented attack, Mark Steyn managed to pull out a badly needed victory. This was the first time a Canadian Human Rights Commission found a defendent innocent.